Even though I’ve been blessed with good skin I’ve been contemplating different ways to improve both my skin care and make-up routines lately. I say blessed because my skin is rather clear with no marks or blemishes and I hardly ever experience any breakouts. But I do realise that this may not last forever and at some point the natural ageing process could make my smooth facial skin a thing of the past. I also love wearing make-up and for the last few months I’ve been considering different ways to make my make-up last longer. 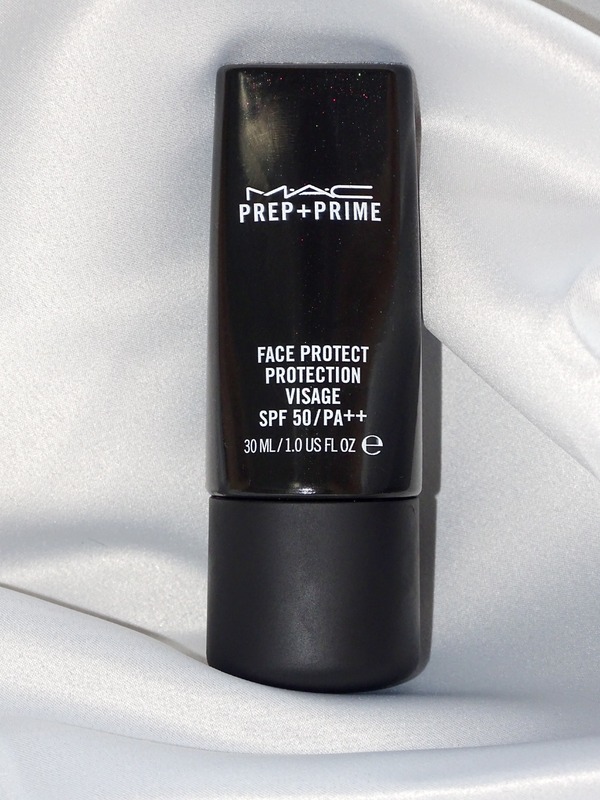 So in steps MAC Prep + Prime Face Protect SPF 50. 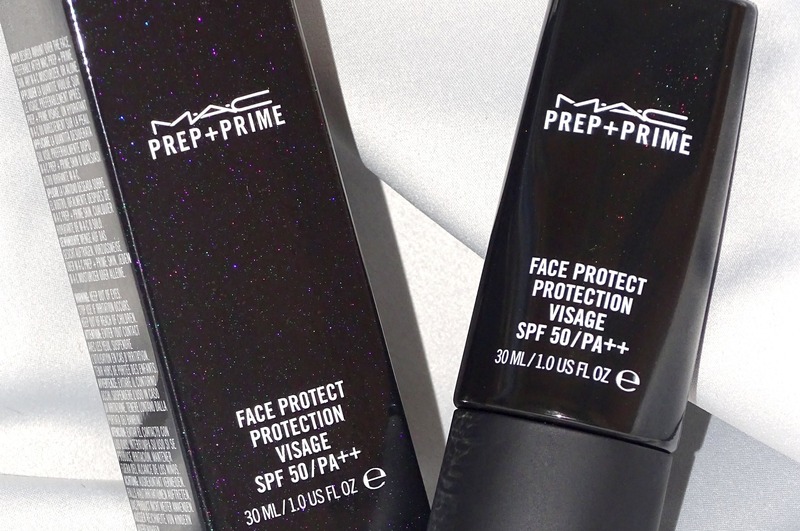 After trolling loads of beauty blogs and websites I finally decided to give this primer a try. New formula – lighter, weightless and invisible. Lotion-like, skin-protecting cream with SPF 50. Apply under makeup to prime the face before exposure to the sun. 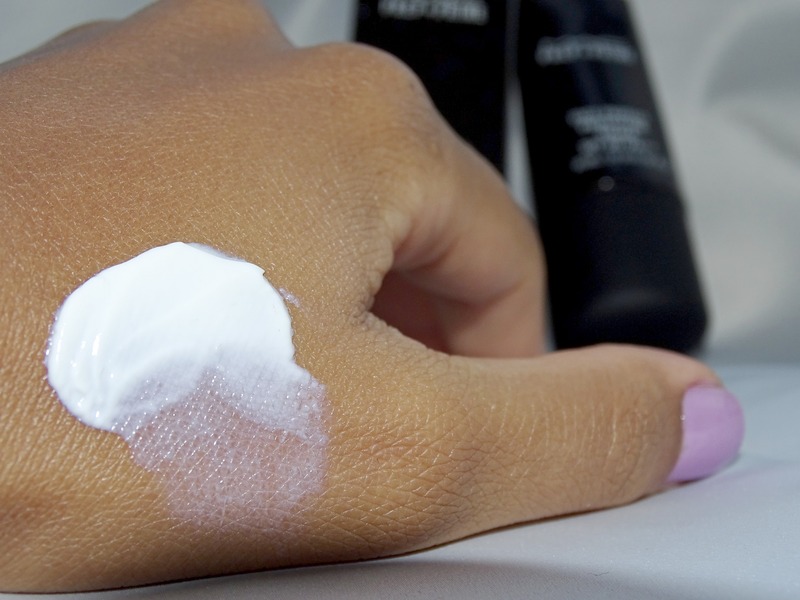 Fast absorbing, leaving skin free of any white residual effects. Wear daily to guard against skin discolouration, premature ageing, dryness and other effects of sun exposure. Suitable for all skin types. Exactly what is says! I love the fact that it’s a light weight moisturiser and sunscreen in one. Usually I just moisturise my skin with coconut oil, but I’ve also been wanting to incorporate some type of sunscreen into my daily routine. I’m now experimenting using the moisturising primer first and sealing it with the oil. I do this on the days when I’m not wearing make-up. On the days I do wear make-up, I apply my oil first as usual, wait for a couple of minutes for it to absorb into my skin and then I apply the primer. A little goes a long way so you really don’t have to use much, only about a pea-sized amount. It’s amazing as it really does make my pores look smaller, especially around my nose, and it has a slight iridescent finish, which helps to brighten the skin. Best of all my foundation goes on a lot smoother and does seem to last hours longer. I’ve been using it for about two weeks and still feel like I’m experimenting with it, so I’ll be sure to give another update in a few months. What are your thoughts? 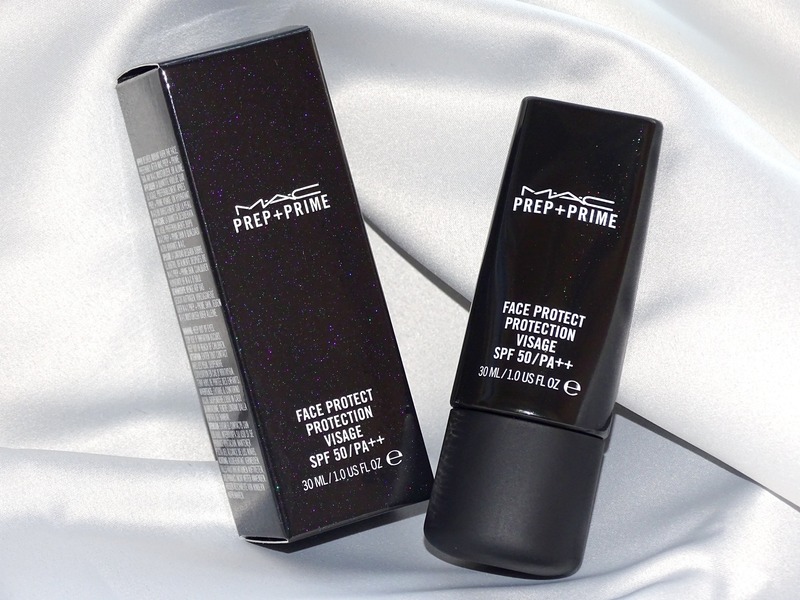 Do you usually use a primer before your foundation and have any of you used this brand before?